Solid timber floorboards are a timeless element of style in old and new homes. Wooden floors are hard-wearing, and with some minor floorboard repair maintenance, they’ll last for decades. Much longer than carpet that’s for sure! Over time timber floors will fade and lose their illustrious colour, particularly in areas of high foot-traffic. Sunlight also makes a significant impact. Direct sunlight from through large windows or sliding doors, even a rug that’s been in the same position for years can leave a visible imprint when removed. We’ll start by sanding the floorboards, creating a smooth, even and clean surface. We’ll discuss with you which type of floor coating you would like, determining on the timber, the type of finish and the level of protection you wish to instill. Most floorboard repair tasks will involve the removal of minor scratches, dents, and chips where heavy items have been dropped or dragged across the floor. Sometimes this can be fixed with sanding and replacing the coating. However, if the damage goes deeper we may discuss other options with you. Do your squeaky floorboards wake up the neighbours? This problem isn’t just common in older homes, even newer designs are capable of making this noise. Squeaky floorboard repair can often be conducted without too much difficulty. In some cases, squeaky floors are caused by the floorboards simply being a little loose and may require new nails or screws. Nail and screw heads can be hidden from sight with a natural looking wood filler. That wasn’t too hard, was it? Don’t put up with it any longer! You may have a small number of floorboards which are sagging from worn floor joists or you may have whole rooms which are uneven. We have some fantastic older properties in Melbourne, however, it is common for these to develop sagging floorboards over time. 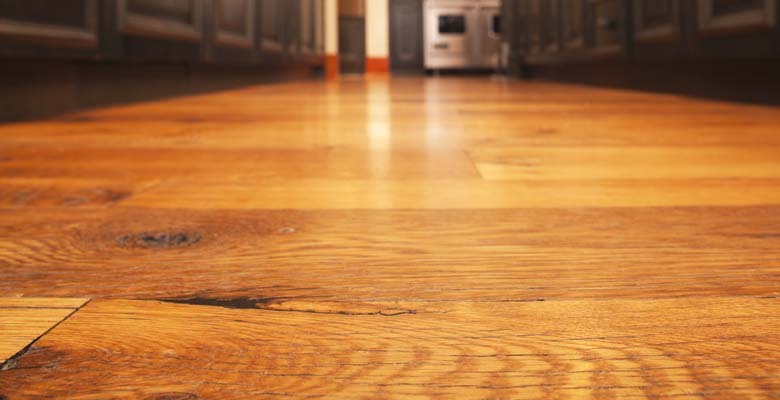 Changes in humidity can cause bulging and buckling of wood floors. This places pressure on surrounding floorboards and may cause them to buckle or become loose. This may require repairs to the subfloor, as well as the beams and joists which hold up the floor. This may be caused by rotting joists which require replacing. Exposure to excessive moisture from flooding and plumbing disasters can stain, warp or rot hardwood floors. If the timber is able to absorb a large quantity of water, it’ll expand. This then places pressure on surrounding floorboards. We’ll try and save your floor by removing the water stains once the timber is dry, sanding back the timber and replacing the protective coating. If necessary we’ll replace the damaged board and rectify any issues in the subfloor. You may have a few floorboards which are past the point of no return, or you may a floorboard replacement for something a bit nicer. Dated parquetry designs can be replaced with traditional straight board designs which are popular right now in the flooring industry. We’ll discuss your options and work with your tastes and budget to implement the ideal solution for your home. You may have had enough of your carpet floors and wish to change to something more timeless and easy to clean. A timber floor installation will transform your home! Our team has the depth and expertise to conduct timber floor repairs and replacement tasks, ranging from basic surface restoration to a complete replacement. As our handymen have skills in many areas, we are often called in to perform additional tasks alongside the flooring services, including painting, kitchen carpentry, tile repair and plaster maintenance.